As an international student, expat or international professional in the US, your options for securing a car loan with reasonable rates are limited—let alone being able to buy your first car. 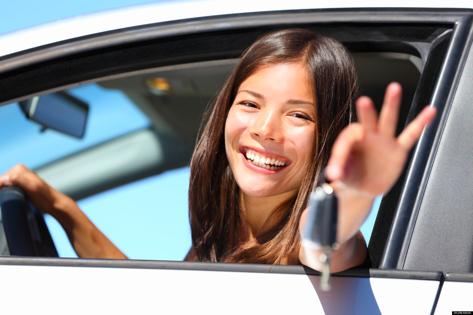 Many foreigners relocating to the US need a vehicle to go to class, work or simply need to commute on a daily basis, but due to their lack of credit history buying their first car can be difficult. Today, international students and expats can rely on car loan providers such as Lendbuzz, but a comprehensive understanding of financing is still important when buying your first car. Whether you’re searching for car loans, auto financing solutions or the lowest auto loan rates possible, you’ve come to the right place. 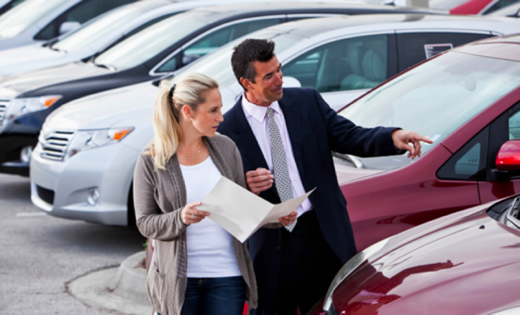 Below is your guide to buying your first car in the US. As an international student with no credit history or SSN, you will need to understand the difficulties that lie ahead when purchasing a vehicle in the U.S. A lack of U.S. credit history leads to limited options for taking out any loan, specifically a car loan. Having thin credit history leaves you with few car loan options, where you will most likely have to accept high interest rates or even have to lease a vehicle instead of buying. If you’re an international student or professional, you could search for lower-interest rates through international manufacturers. These manufacturers can offer rate reductions to foreigners, but they generally don’t reduce them below 10%. If you have a basic line of credit, be prepared to pay a 10 to 20 percent down payment for a car. You will also need to finance or lease the vehicle within the timeframe and term of your U.S. visa. Since international students have little to no credit history, it is very difficult to find a car loan lender that will give you a loan at a low interest rate. Most car loan lenders will charge an 18% to 20% APR (annual percentage rate) which is the amount of interest you will have to pay annually on the car loan. A reasonable APR rate for a car loan should be between 4.9% to 12% APR. You can search for car loan lenders through your local bank, credit card company (some credit card companies such as Capital One offer car loans), or your local car dealership can recommend an auto loan lender for you. However, the easiest solution for international students would be to take out a car loan through an online lender such as Lendbuzz since they offer reasonable interest rates by taking into account factors such as educational background, job experience or family income. Next, you will need to choose the right vehicle. While some requirements are essential, it’s a good idea to finance your car around the above-mentioned expenses. First, determine your area of residence and find local car dealerships in your area. Keep in mind that if you’re living in the city, a smaller economy sized vehicle will save you money in the long run and will be easier to park. If you’re in the suburbs, consider car that is economical on gas. Again, having thin U.S. credit history is a problem. Similar to obtaining a loan, your criteria for securing car insurance as an international student or professional can be expensive. U.S. insurance companies do, however, offer specific rates for foreigners. Do the necessary research and find an insurance quote comparison website, and make sure that you search for insurance quotes for individuals with a thin credit history. Your vehicle can’t be legally driven in the U.S. until it is registered. To register your car, you will need to acquire and present a valid U.S. driver’s license—which can be obtained at your local Department of Motor Vehicles. Then, you will need to provide proof of insurance coverage. During the registration process, you will need to pay the sales tax on your vehicle. Unfortunately, the sales tax amount is not included in the vehicle’s original price and needs to be paid during the time of registration and delivery. If you are leasing a vehicle, you can pay the sales tax via monthly payments. Although, it is more challenging for an international student or professional to purchase a car in the U.S., there are now more financing and car loan options available to you such as Lendbuzz. Taking a car loan is also a great way to increase your credit score so that you can take out other loans in the future. Just remember to finance your vehicle responsibly, secure a quality car loan, receive your US driver’s license and find the best insurance quote for your vehicle. If you are looking to buy a car – new or pre-owned – Lendbuzz partners with a wide range of auto dealers, to offer you a seamless car purchasing experience. Lendbuzz offers the lowest rates, quick & easy online approval (less than 5 minutes), and consulting services on how to build your U.S. credit history and receive the best car loan rates. Lendbuzz is an online platform providing car loans and financing for international students and car loan for expats in the U.S.